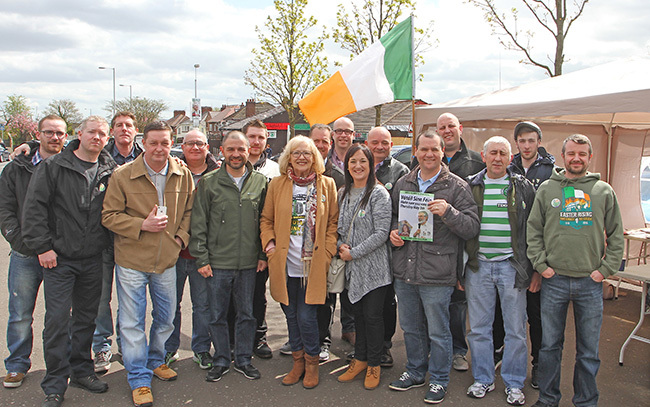 AFTER MONTHS of campaigning, canvassing and door knocking the votes were finally counted in the North’s Assembly elections from 5 May with 28 Sinn Féin MLAs elected to Stormont. Counting began across the North on Friday 6 May and continued late into the night, with many candidates being elected in the small hours before counters returned at the weekend. There was an intense media focus on a number of counts, particularly in Foyle with Martin McGuinness contesting the election in his home city for the first time more than three decades after representing Mid Ulster since the late 1990s. Reporters had billed the contest as a head-to-head contest between Martin McGuinness and SDLP leader Colum Eastwood. The got their headlines early on as Martin McGuinness topped the poll ahead of Eastwood. Martin had to wait late into the night though before he was formally elected alongside party colleague Raymond McCartney. The count for the Belfast constituencies was held in the Titanic Exhibition Centre, providing a life line for for the media pack as they tortured metaphors about plain sailing, candidates sinking in the polls, and career-stopping icebergs to wile away the long hours of the count. A huge media scrum surrounded Sinn Féin President Gerry Adams when he arrived at the count to support his party’s candidates, with some almost being knocked over in the process. Some of those same reporters will no doubt soon return to peddling bogus stories of the Sinn Féin leader being an electoral liability. 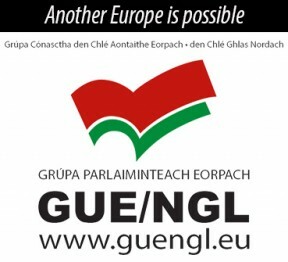 It still remains to be seen if the irony of this will be lost on the media pack. 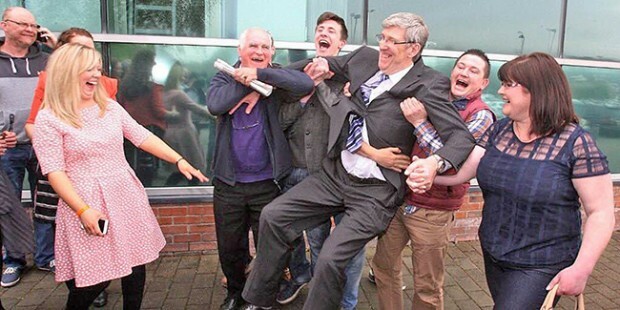 East Belfast candidate and newly-elected Seanadóir Niall Ó Donnghaile took to Twitter to say he couldn’t quite get used to the feeling of being in a count centre being congratulated on his election success. One of the most remarkable aspects of the election was the strong electoral performance by young female Sinn Féin candidates. 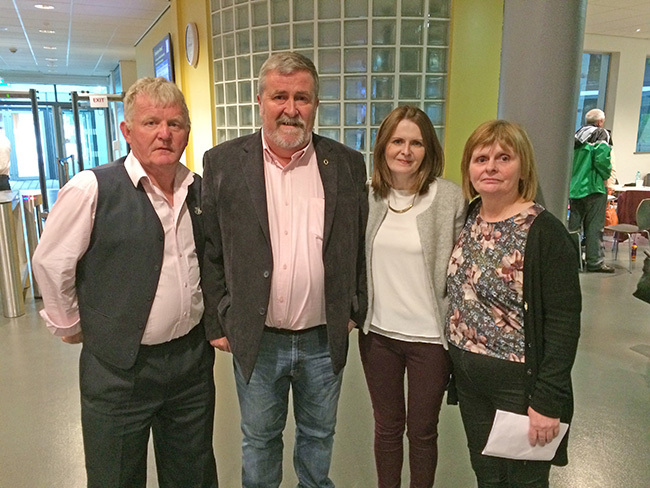 In Upper Bann, Catherine Seeley was elected to join John O’Dowd and, in East Derry, Caoimhe Archibald was elected to the Assembly for the first time. Megan Fearon was also elected with a great performance in Newry and Armagh. And in West Tyrone, Grace McDermott polled extremely well, building on Sinn Féin’s vote in the area and establishing herself as a formidable figure in the area for the years ahead. While the news from Fermanagh & South Tyrone caused disappointment as it spread to other count centres, it was quickly followed by the good news that Oliver McMullan had held off a strong challenge in East Antrim and was elected for a second term. 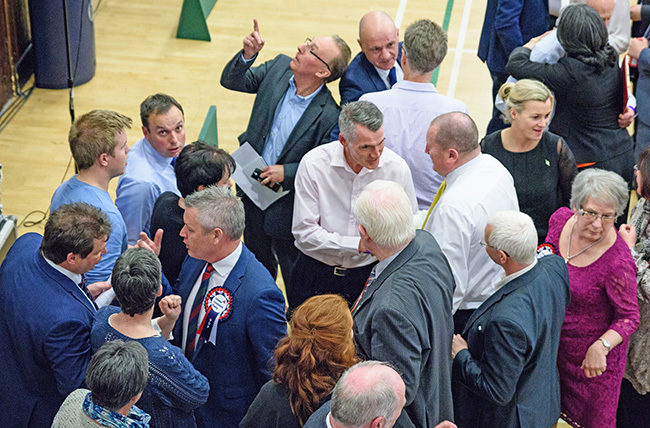 The electoral battle in Upper Bann proved to be an epic contest of the election, with the count lasting more than 21 hours before the final result was declared. This had been a target seat for Sinn Féin with an effort having been made to elect two MLAs in the constituency for the first time. Catherine Seeley polled 6,164 first preference votes, almost 1,000 more than running mate and outgoing Education Minister John O’Dowd. Republicans across Ireland endured nervous hours on Saturday afternoon as the battle for the final seat went down to the wire. Twitter feeds were refreshed faster than ever before by those eager for news of the count and #UpperBann was trending across Ireland. John O’Dowd could be seen pacing around Banbridge leisure centre as election agents, reporters and just about every republican in Ireland pored over the latest figures for each stage of the count, studying the transfers and counting each and every vote until the eleventh and final stage of the count when both Catherine and John were elected. While most counts were long, drawn out affairs with only occasional burst of activity when the results of each stage were announced, those waiting for the final declaration in Omagh were treated to an impromptu magic show by newly-returned West Tyrone MLA Barry McElduff. When all the ballot papers were counted, the results declared and the seemingly endless round of media interviews were finished and all of the candidates, successful and otherwise, had left, thankful that there isn’t another election scheduled in the North for three years, count centre staff could be seen putting up posters – reminding everyone that they will be back soon enough next month for the results of the European Union referendum.